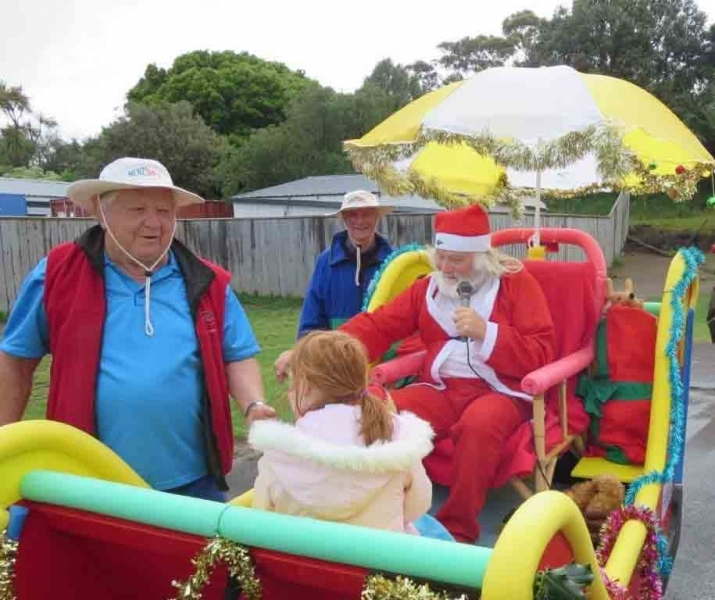 Every year there’s the opportunity to be involved in xmas events and time to have fun and share xmas with the community and the kids. 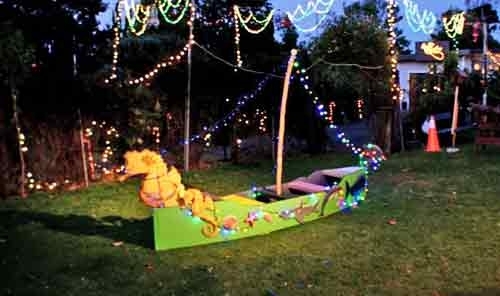 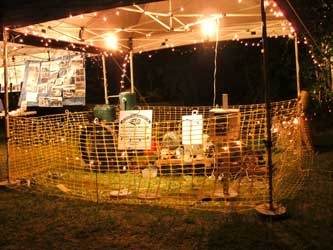 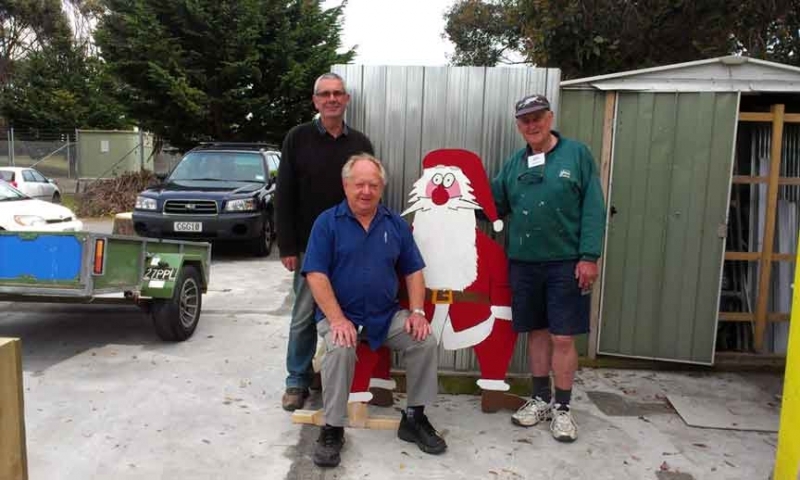 This has included a commitment to support Barry & Karen Church when they entered the the Kapiti xmas lights competition. 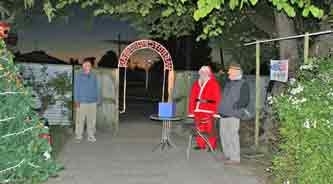 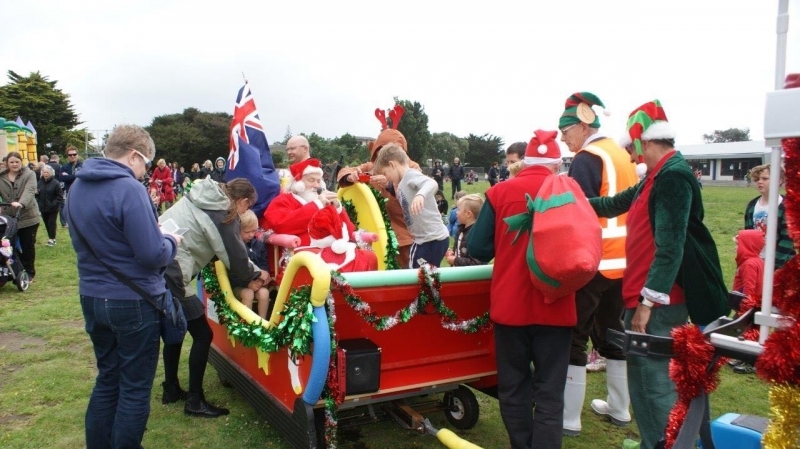 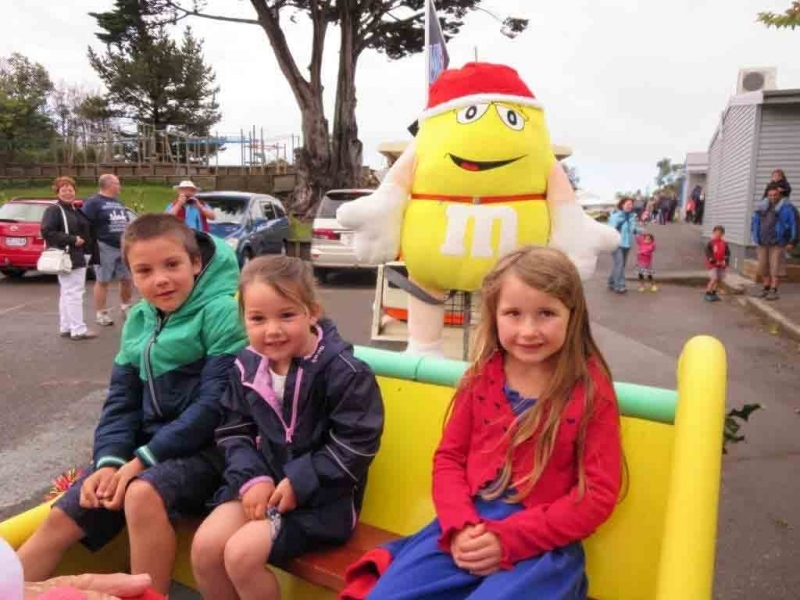 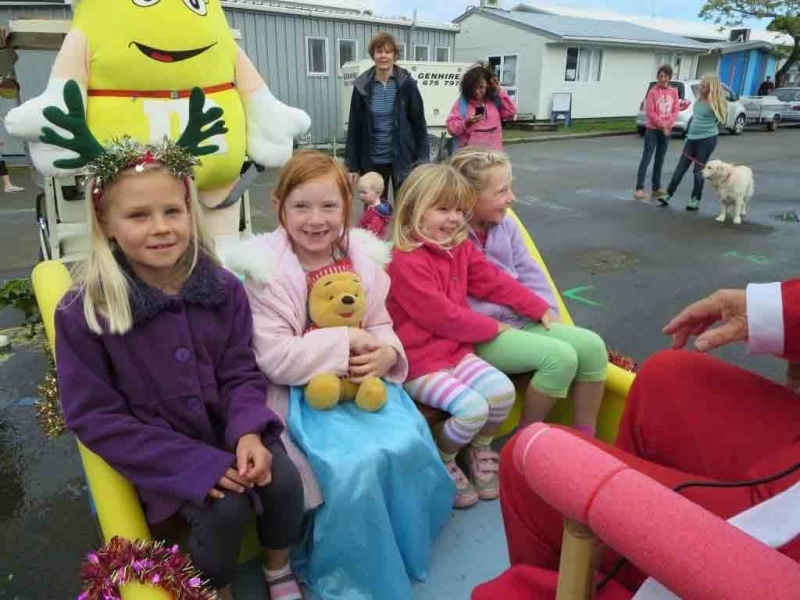 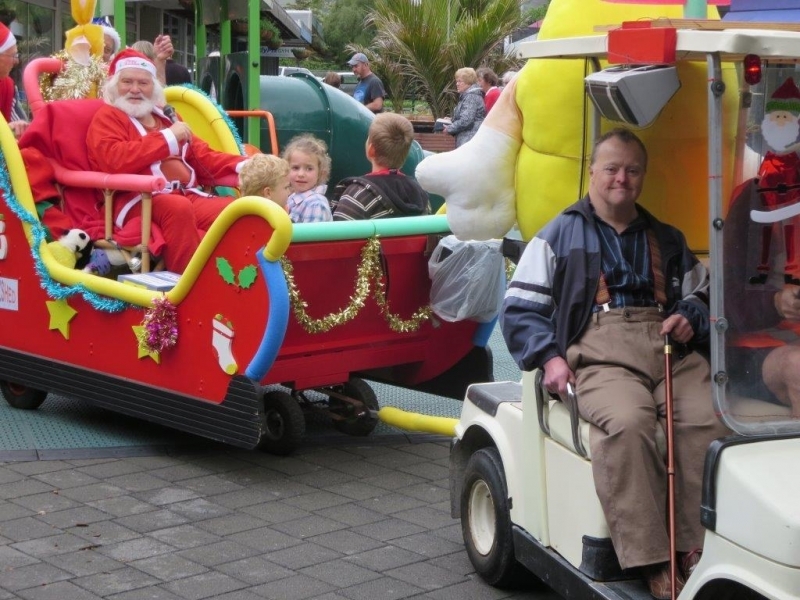 Santa’s sleigh and support team were again in demand as we attended functions at a variety of Kapiti organisations. 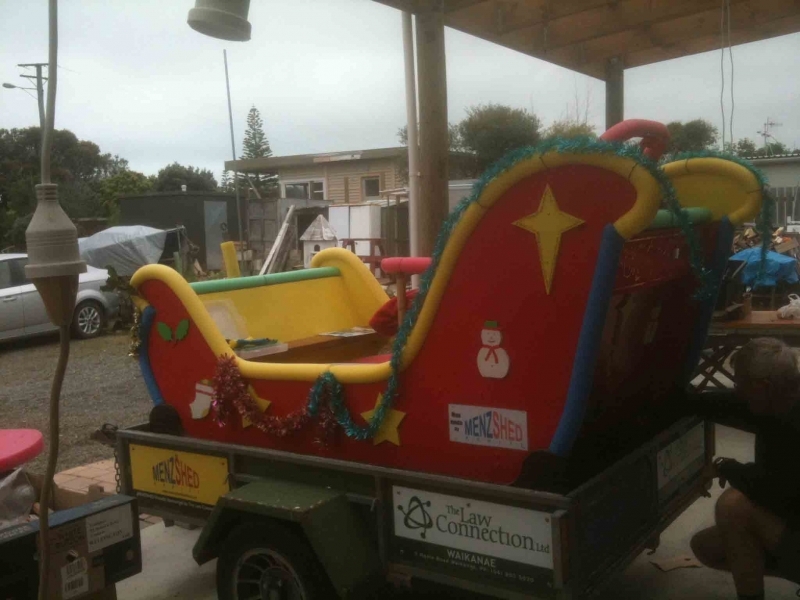 Another year and more requests for our Santa, sleigh and support team and following some refurbishment of our sleigh it was all go. 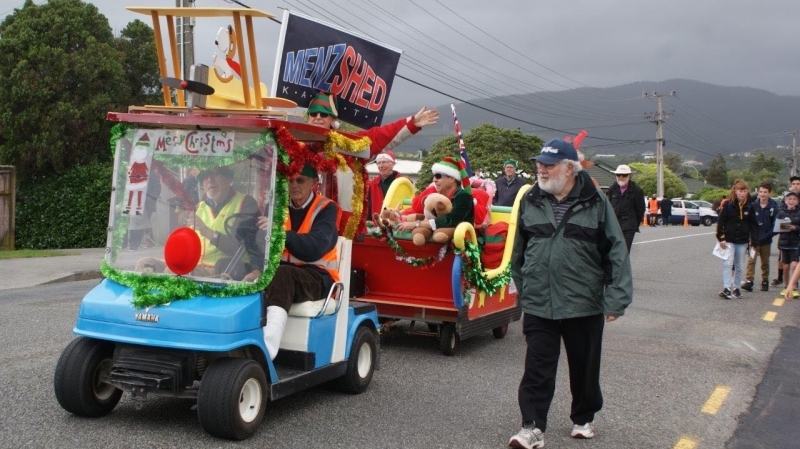 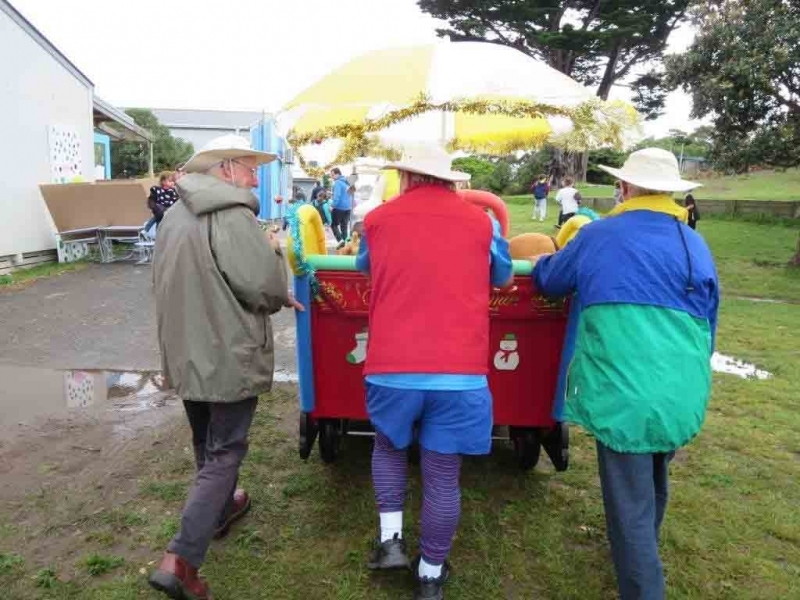 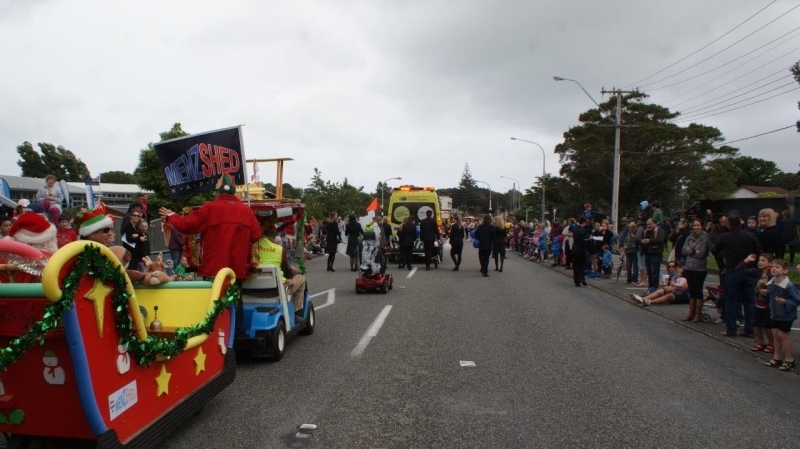 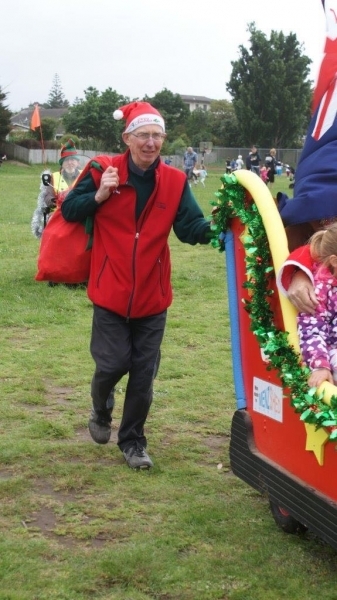 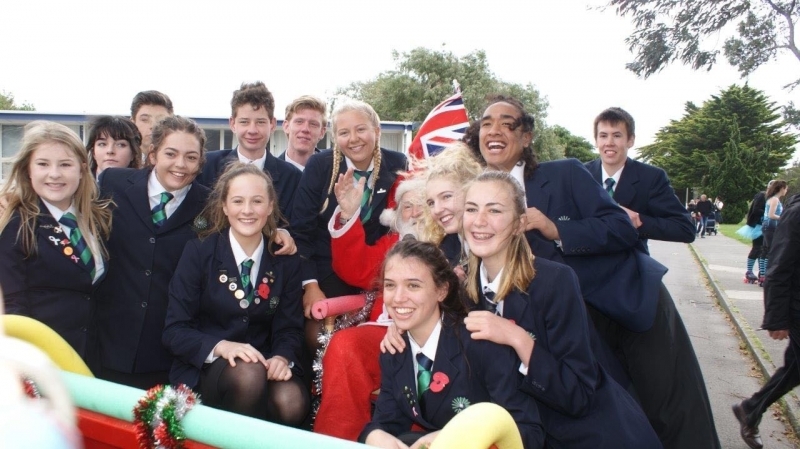 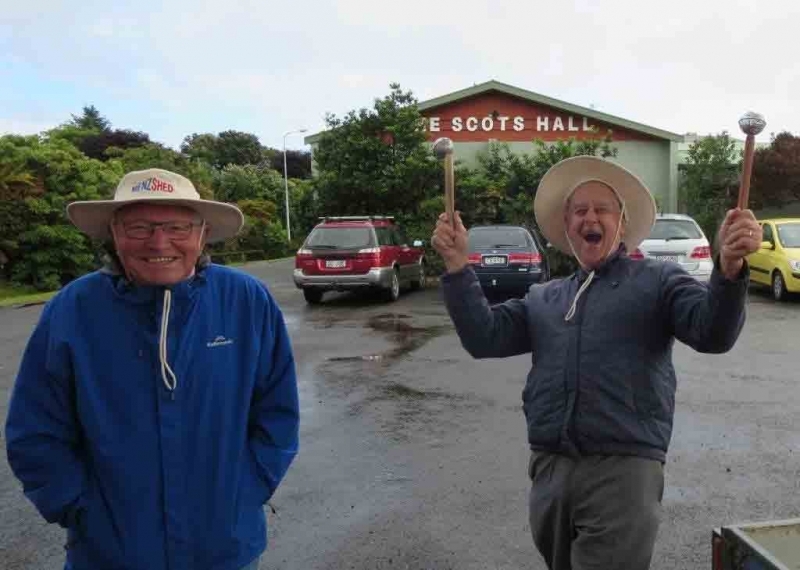 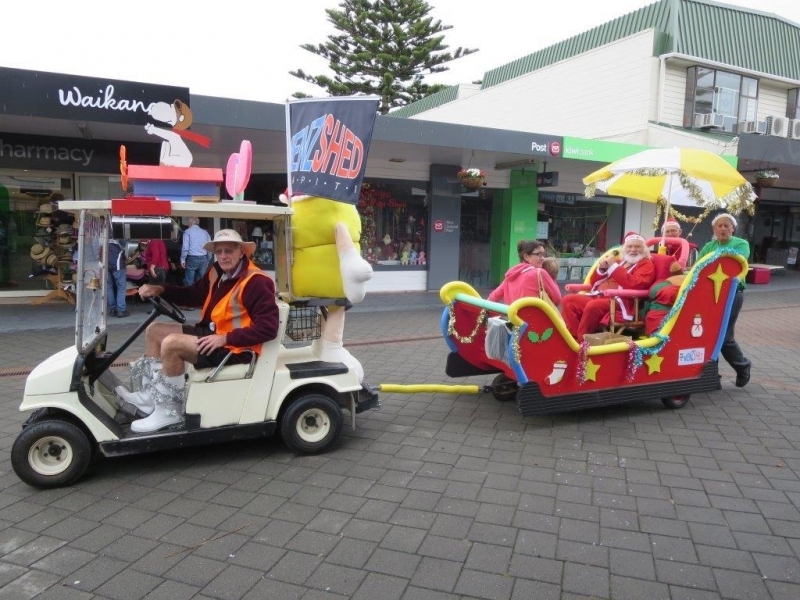 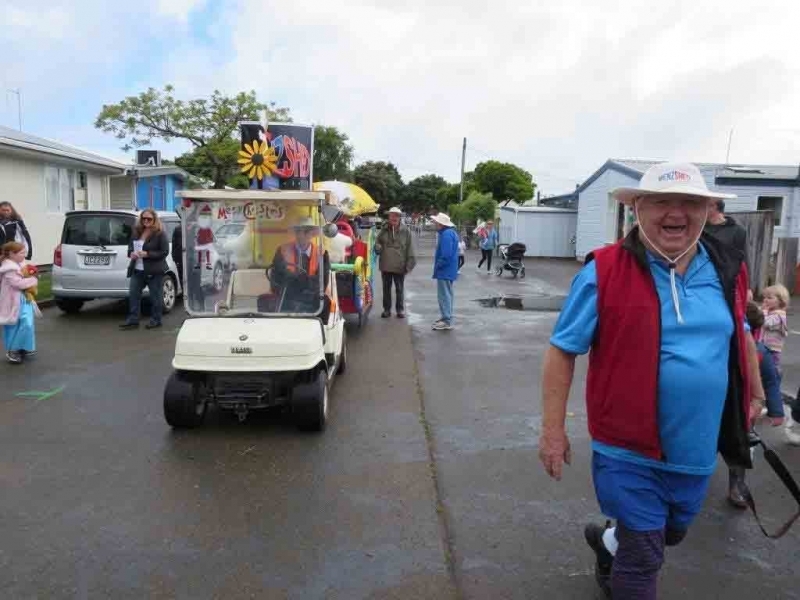 We were again asked to be part of the Raumati Xmas Parade so with a paint job on our electric cart, a general tidy of the sleigh and Ross practising is HO HO HO we were the last float in the 26th November 2016 parade on a rather cloudy day. 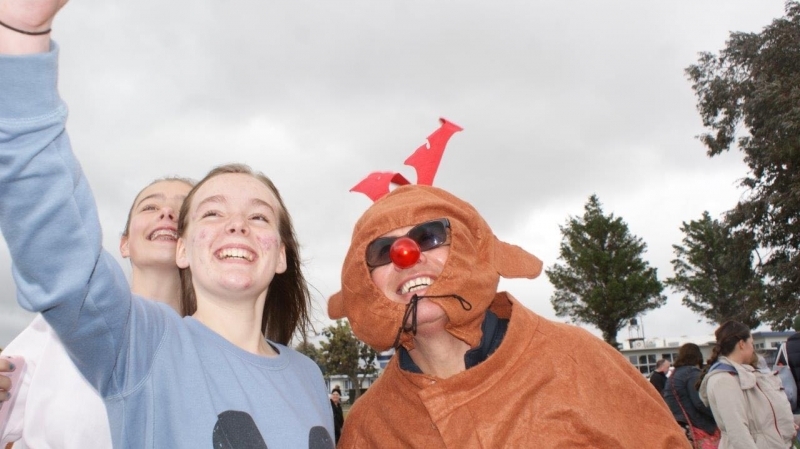 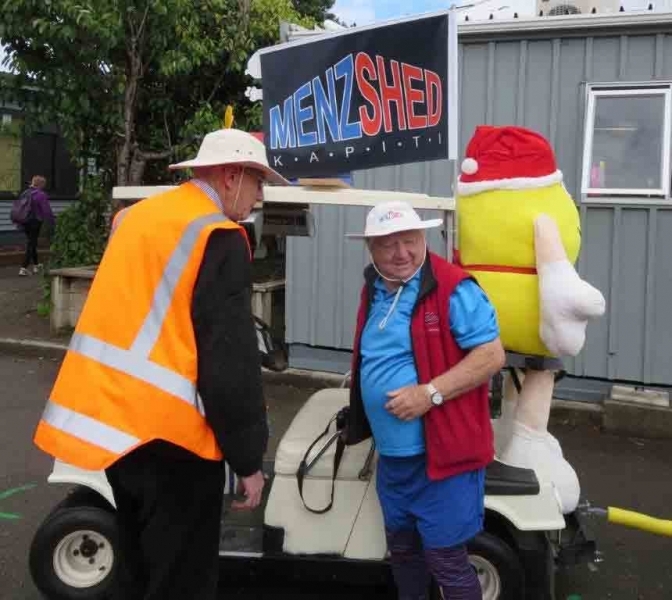 The photos show a good turn out of MenzShed members, a lot in costume, and members of the public enjoying and participating in the fun. 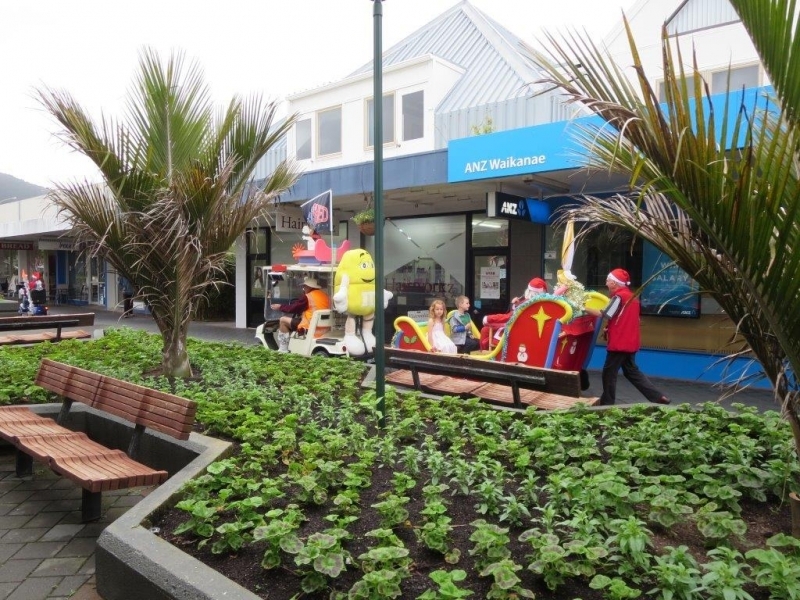 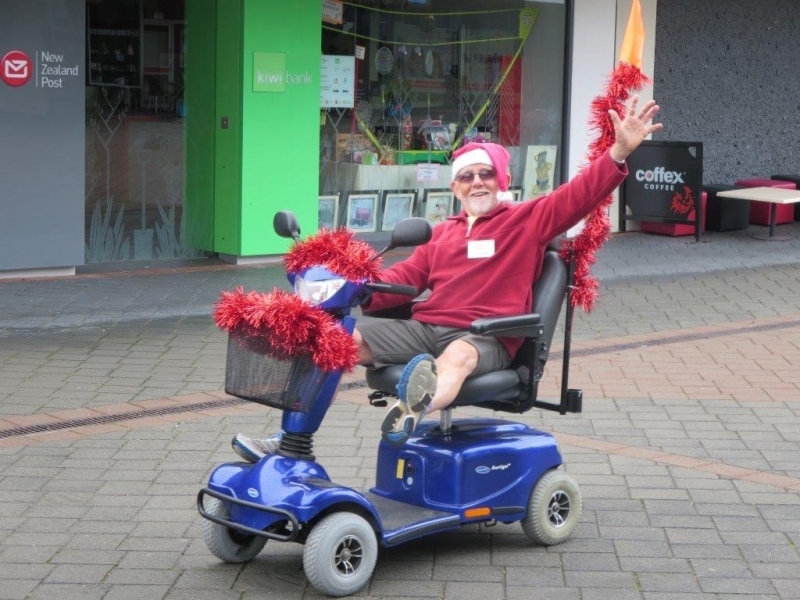 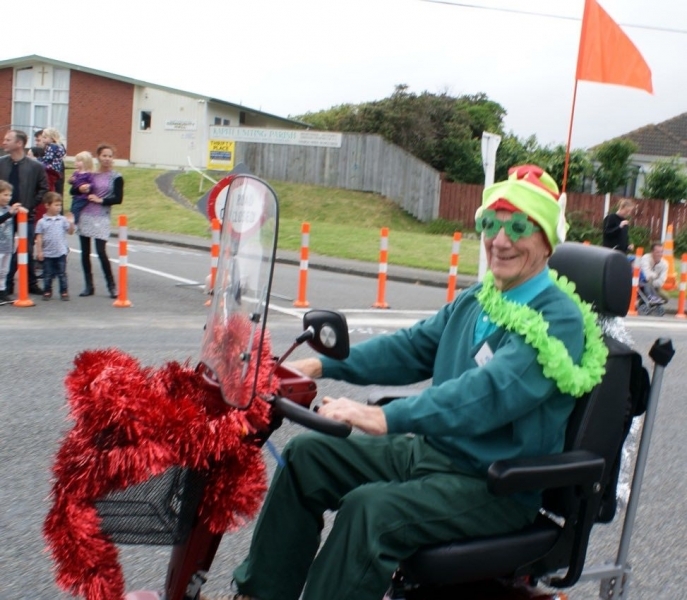 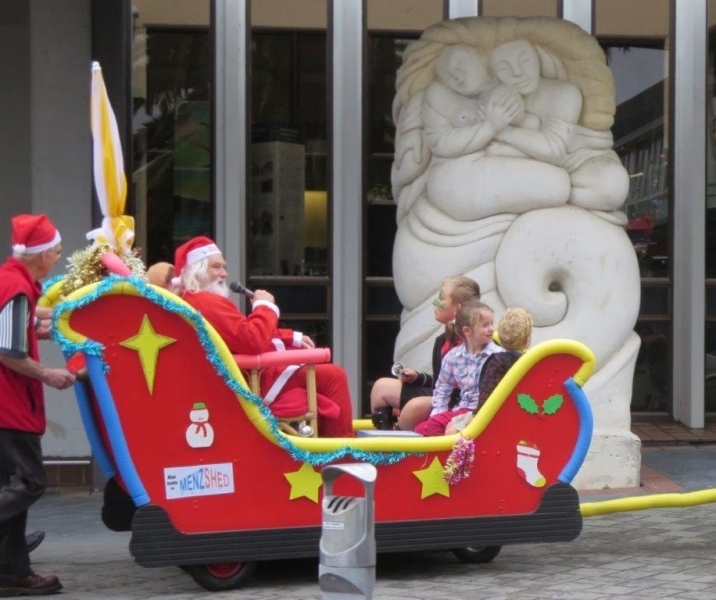 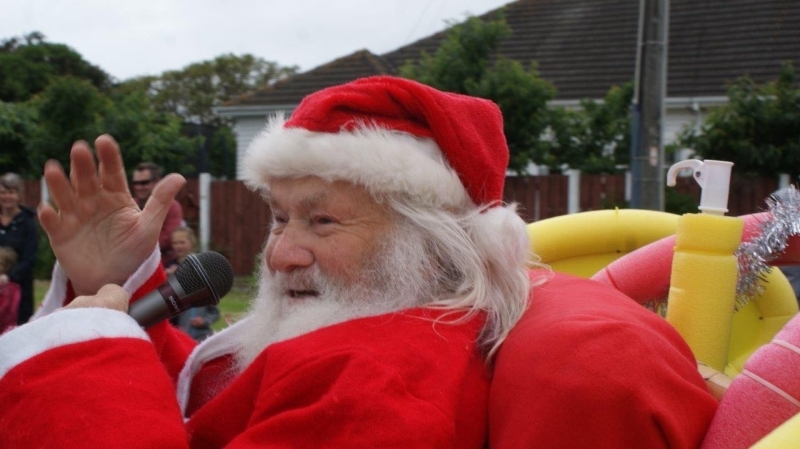 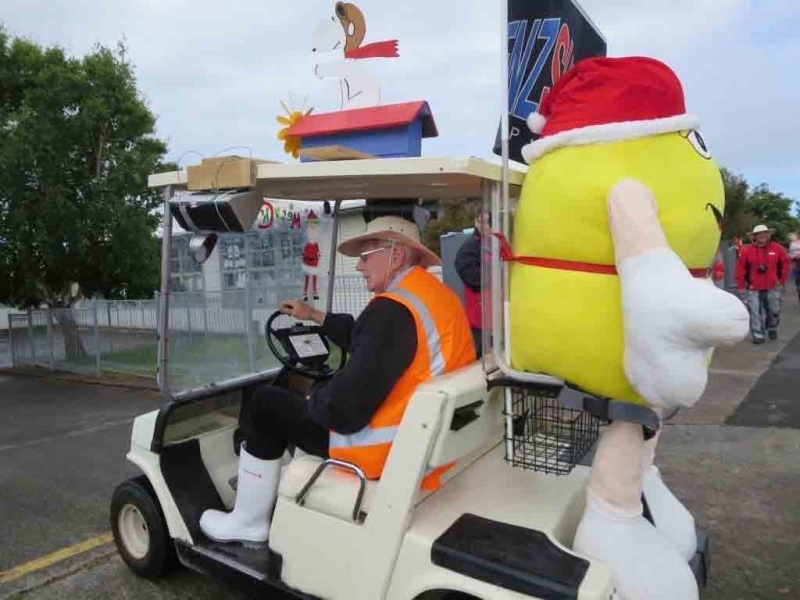 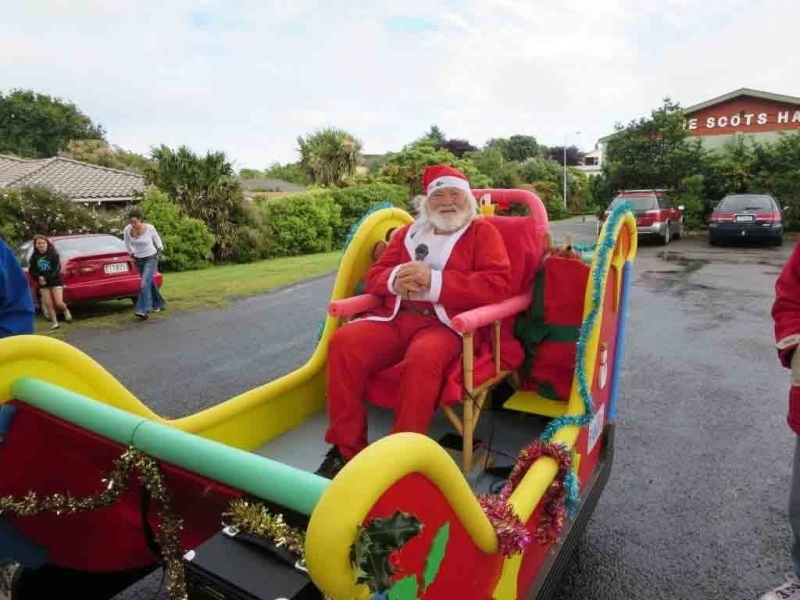 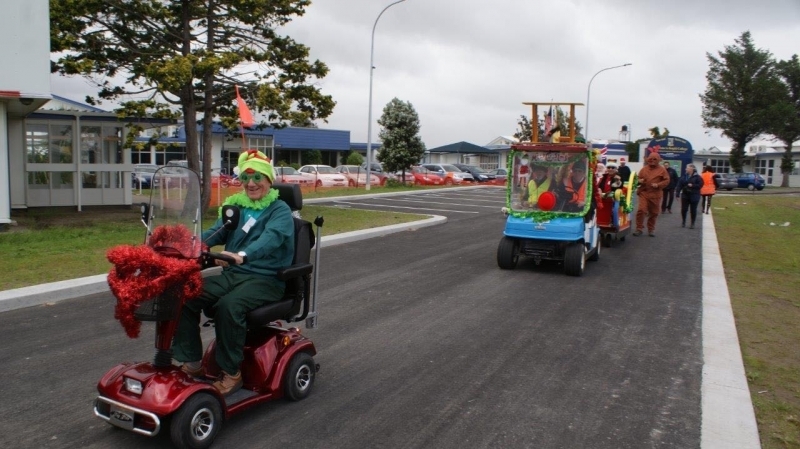 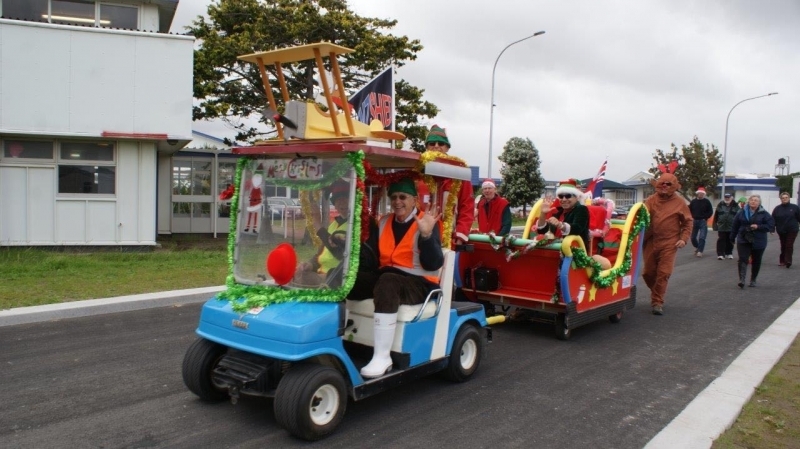 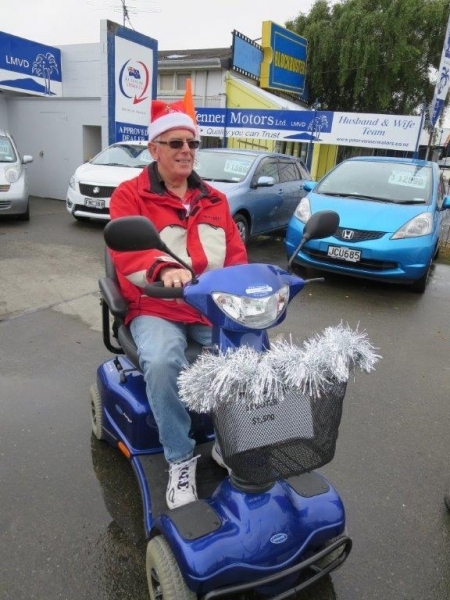 We were told the Raumati Business Centre 2015 xmas parade was short on transport for santa this year and could we help. 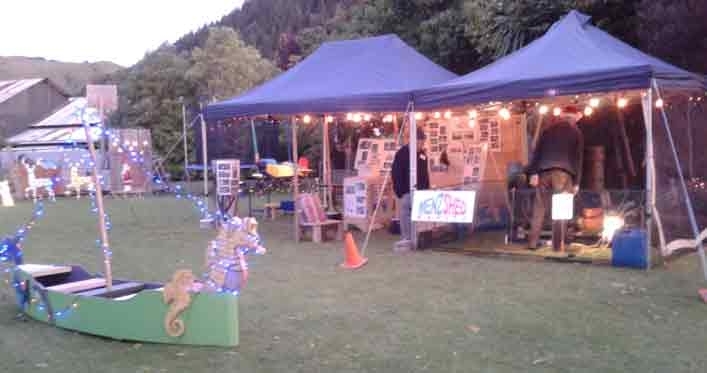 Well, we had some ideas, lots of ideas actually and then we had to put ideas into action. 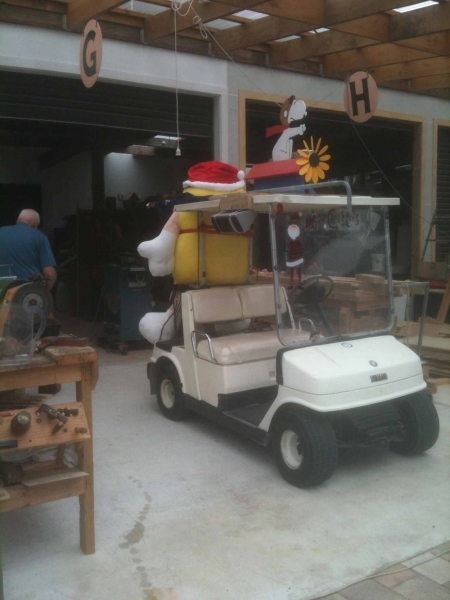 While we were thinking about what to tow it with, along came another benefactor who ended up donating his golf cart that had problems with the batteries, but we reckon we can eventually resolve that. 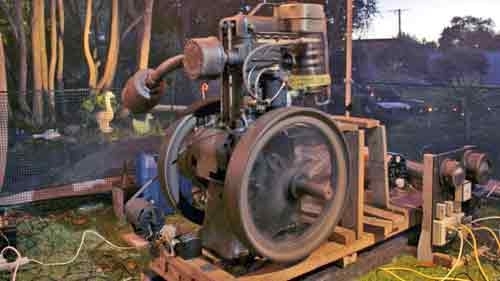 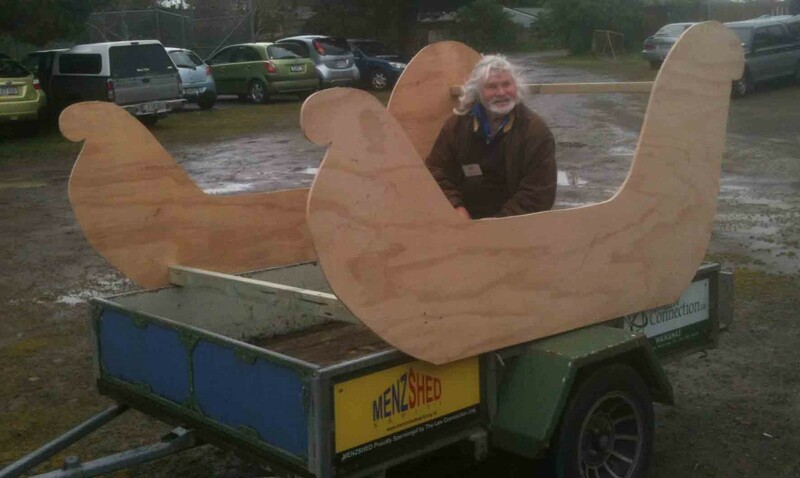 Well, that meant we could use it for the sleigh if it was a cut down version with its own wheels and so the Mark 2 version was created. 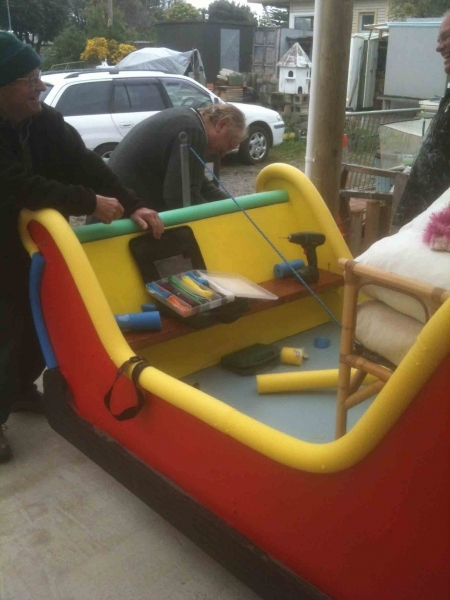 We connected it up, stood back to admire it and Ross jumped into the seat and wouldn’t get out until he was taken for a ride. 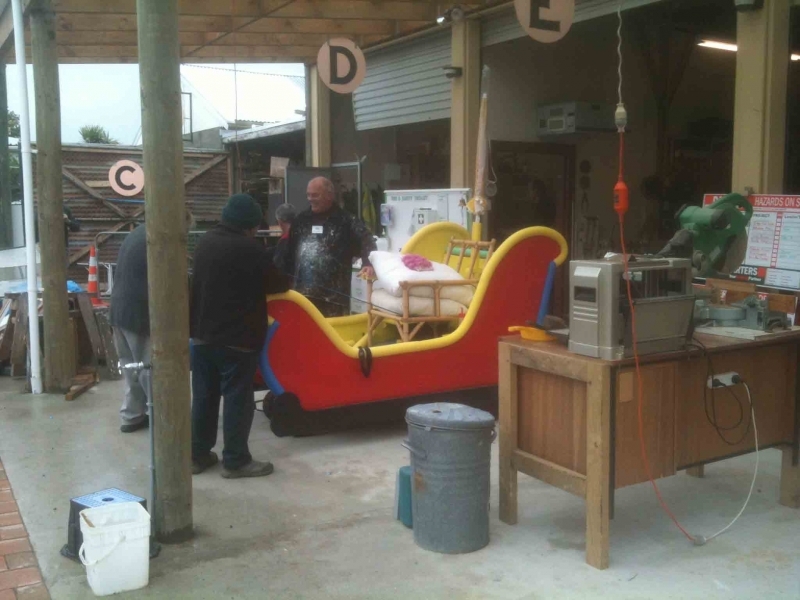 There was a lot of work but we got there and then it was all go for the kids, big and small. 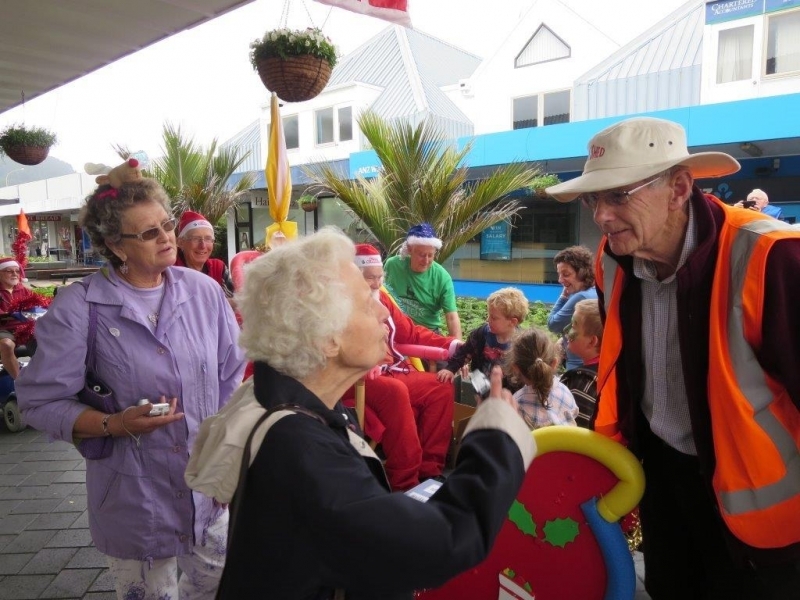 Saturday, two weeks later, there was meant to be some entertainment of carols, band, dancers in Mahara Place. 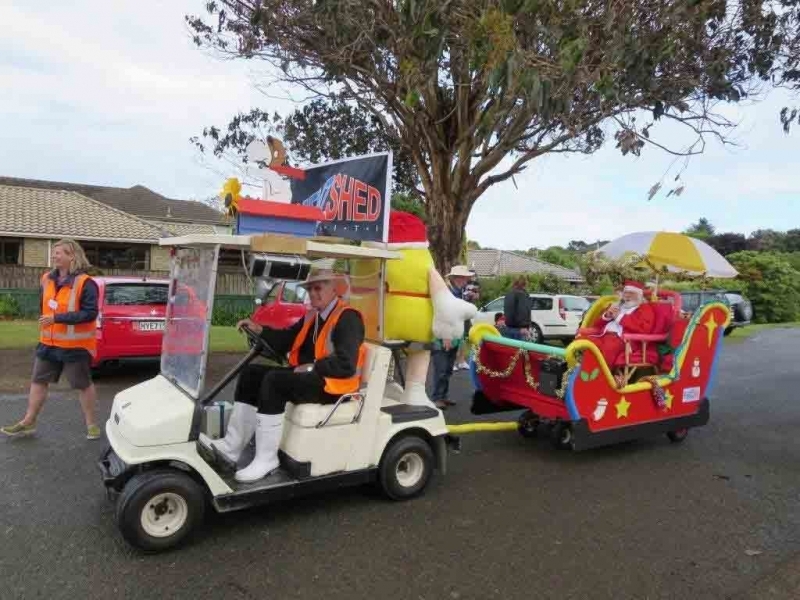 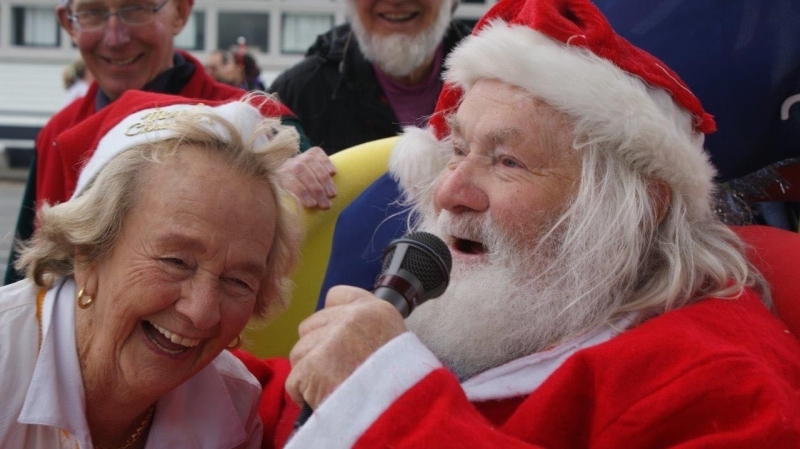 Santa’s Sleigh with outriders was asked to provide some extra entertainment but the event was cancelled on Sat morning because of the uncertain weather. 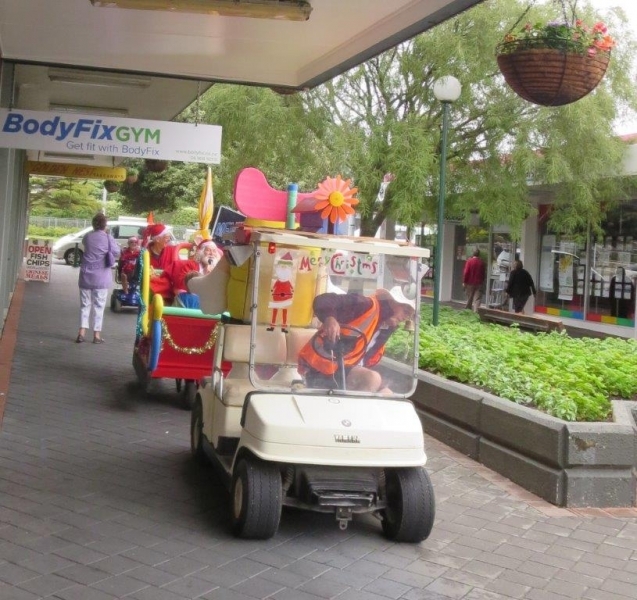 Not to disappoint the fans and children we stayed around until the rain had stopped and then did some circuits around the mall. 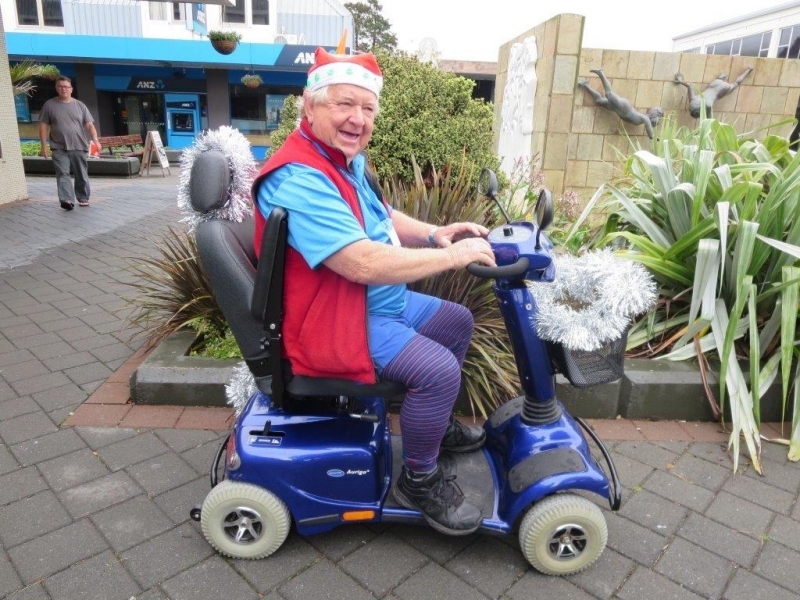 We had picked up a couple of mobility scooters from Peter Vernon Motors and proceeded from Parata St and into Mahara Place. 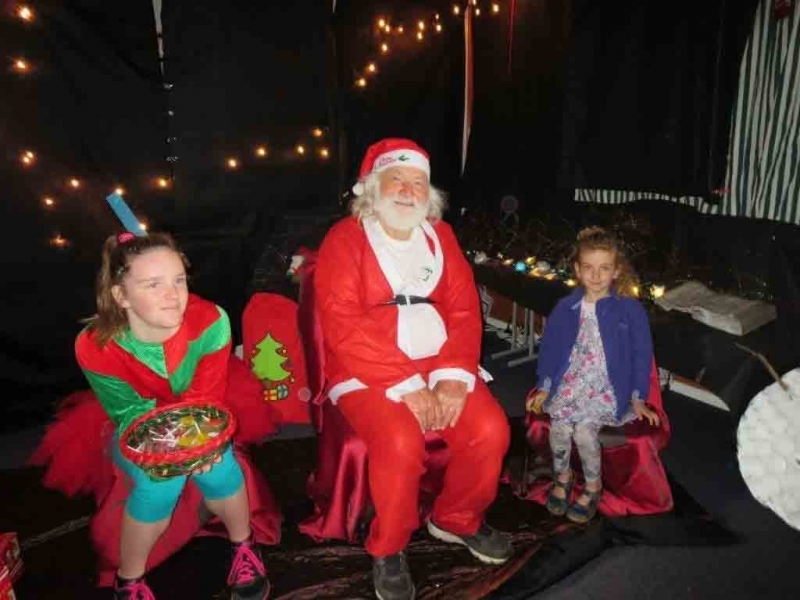 Some of the young people (children) and some not so young had a ride with Santa in the Sleigh and even got their hands on a few lollies. 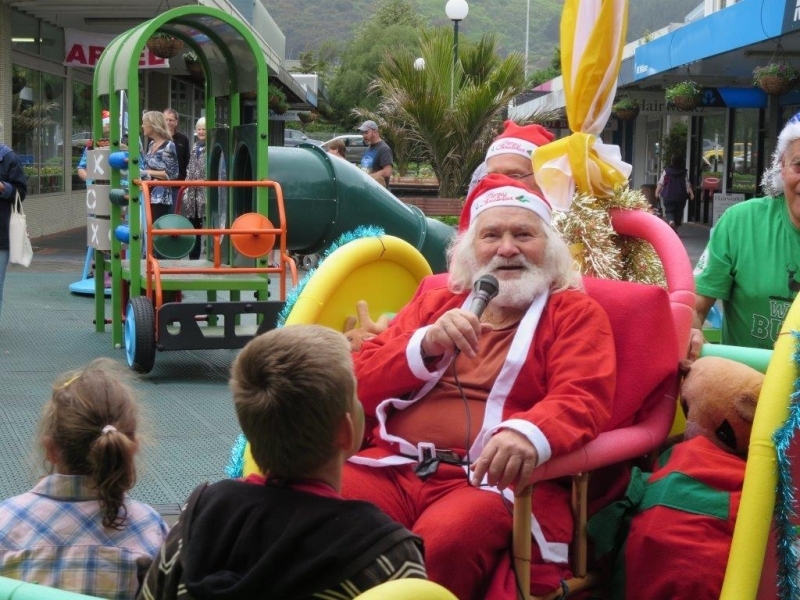 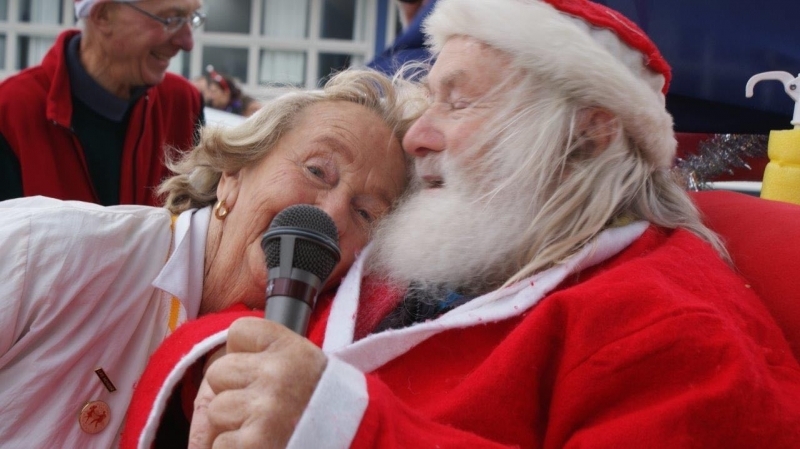 On Friday morning (18th), at 11.30 when were back at Mahara Place with Santa and his Sleigh and a good team from the Shed to spread some more Xmas spirit, a bit of publicity for MenzShed Kapiti. 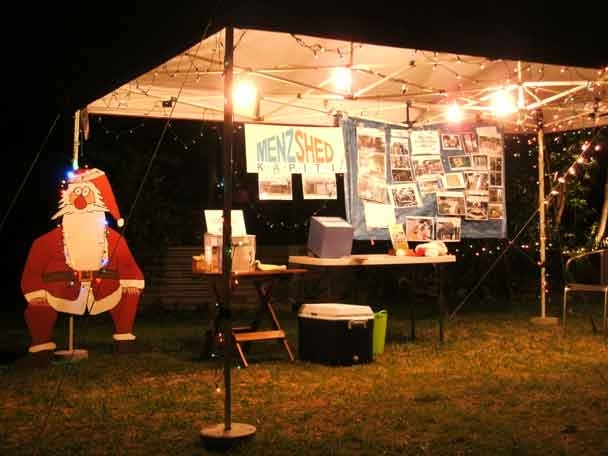 Sue Lusk – the great lady behind the Facebook Page, ran a raffle for some the prizes she rounded up for last Saturday’s cancelled event, and raised a few dollars for MenzShed. 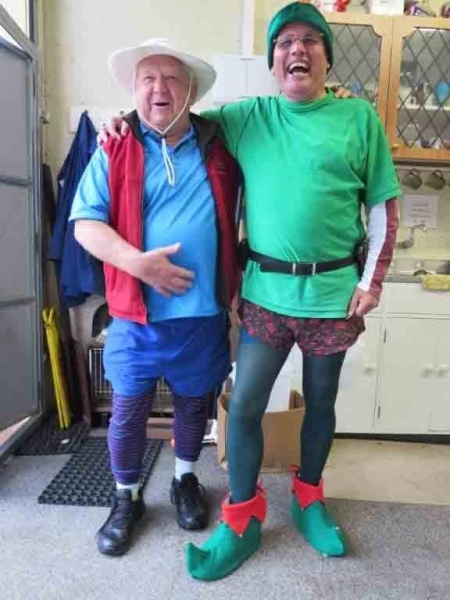 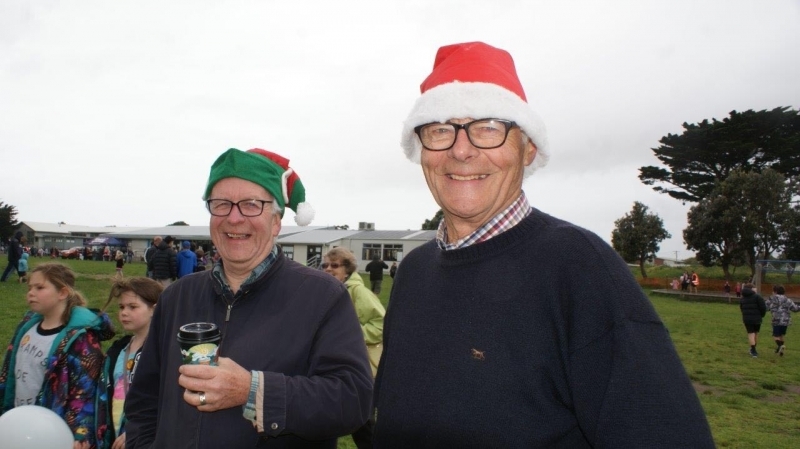 Continuing to assist Barry & Karen Church with their xmas lights display, from which we gain donations, has become an annual end of year event for MenzShed Kapiti and again we all did it proud as the photos show. 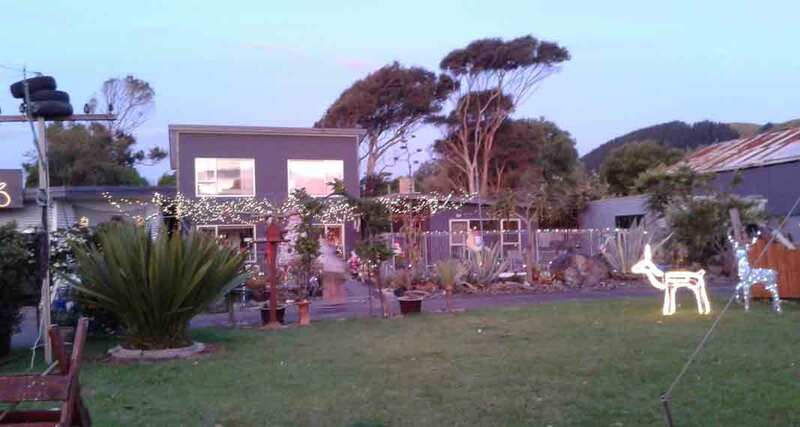 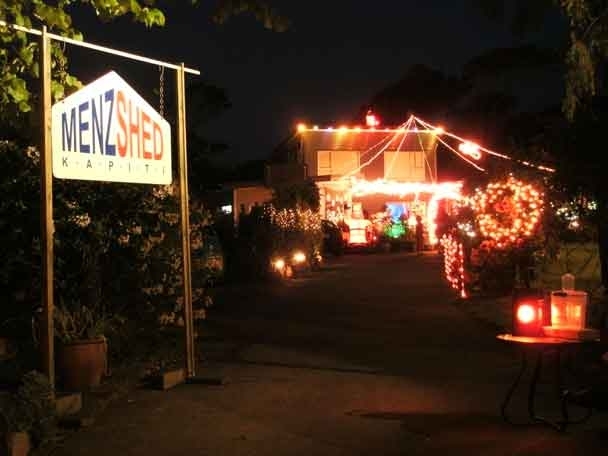 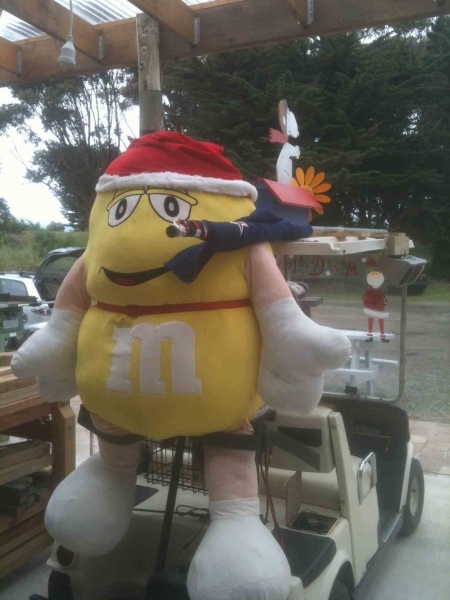 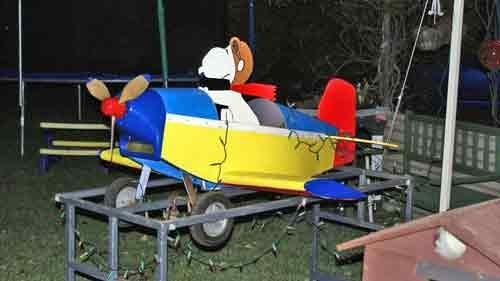 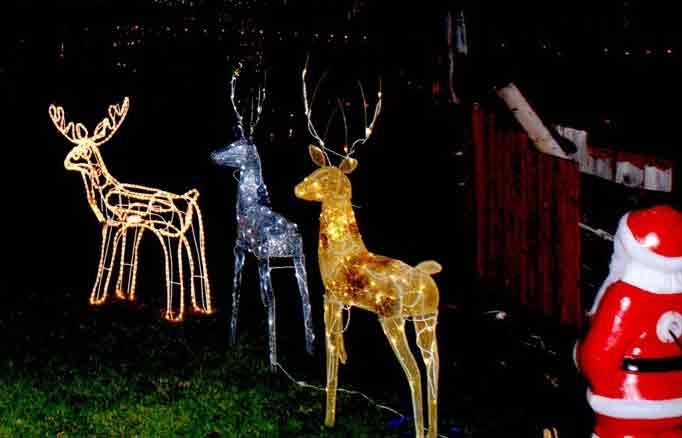 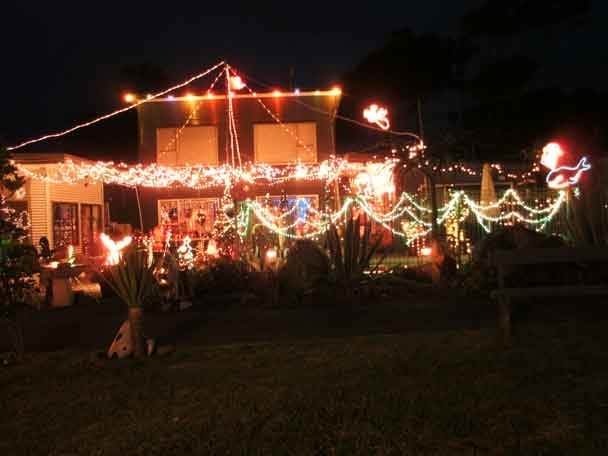 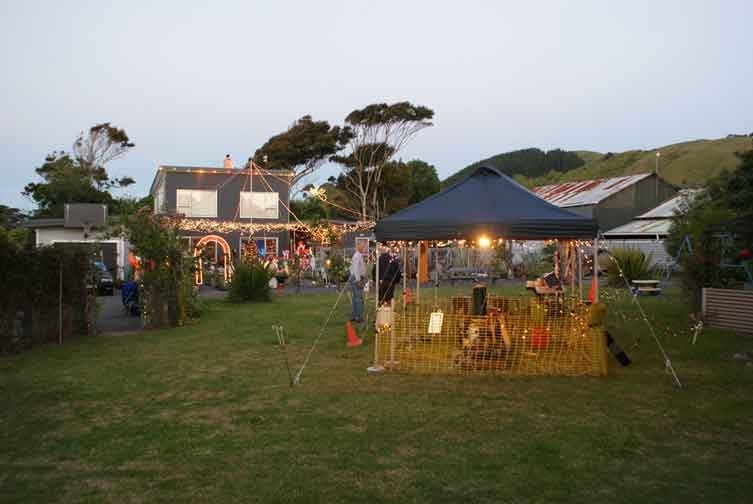 After being approached by Barry & Karen Church to assist with their xmas lights display that was entered in the Kapiti Lights Competition, MenzShed Kapiti provided a major input to support their already impressive display.